Nestled in Himalayas is Beautiful, Beautiful Kashmir. The place I was born and grew up in. 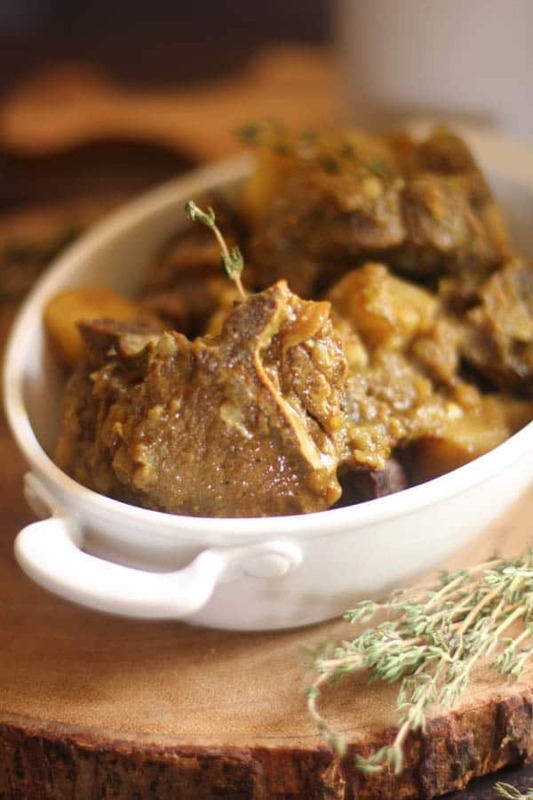 The cuisine of the land is known for its masterfully cooked meat dishes and beautifully cooked vegetables. What it is not known for is its lentil dishes. There are some, but they are few and far in between. And Khichdi is one of them. 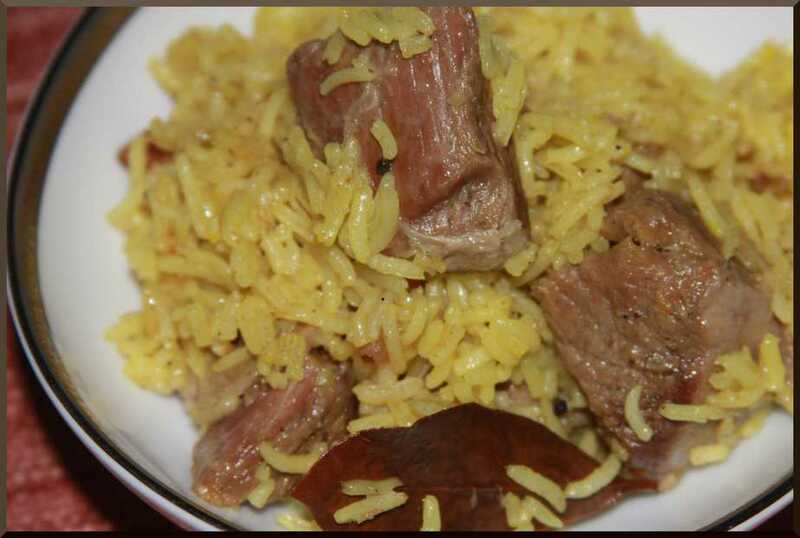 The Kashmiris call their Khichdi – “khechir” and it is made with whole mung, rice and choice cuts of lamb. The interesting fact is that it is eaten only once a year on the day of “Khechi Mavas” – or the day of worshipping ancient Demi Gods. Not that you needed that kind of information, but when I get talking about my home, I get talking. 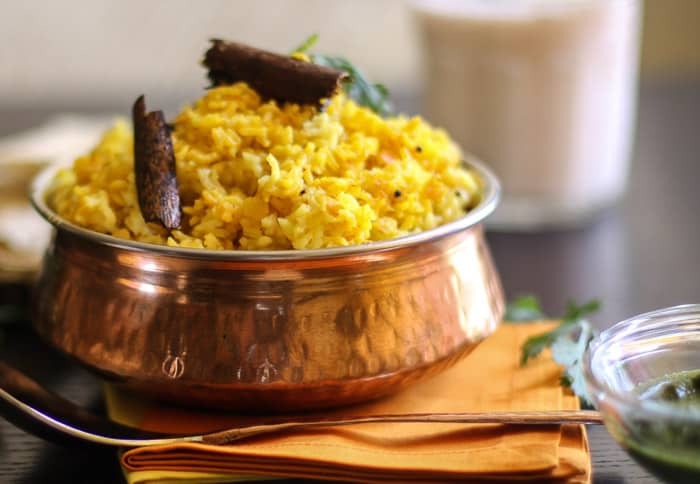 Speaking of interesting – Imagine my surprise when I first moved away from home and found out that people in rest of India ate Khichdi ALL THE TIME! Ok may be not all the time. But for someone who ate it only once a year, to see people eat khichdi every now and then was amusing. 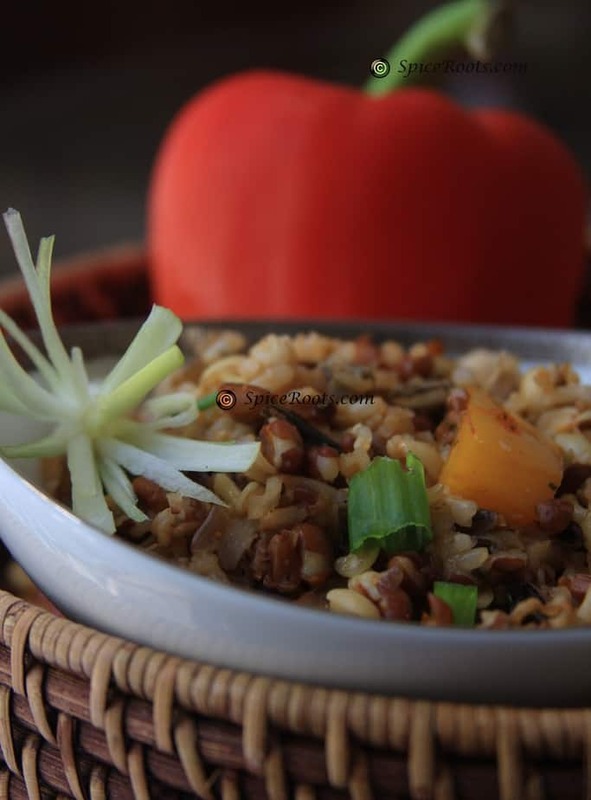 Thankfully I was introduced to a good ‘no meat’ Khichdi dish early on in my Khichdi exploring days and I was hooked. 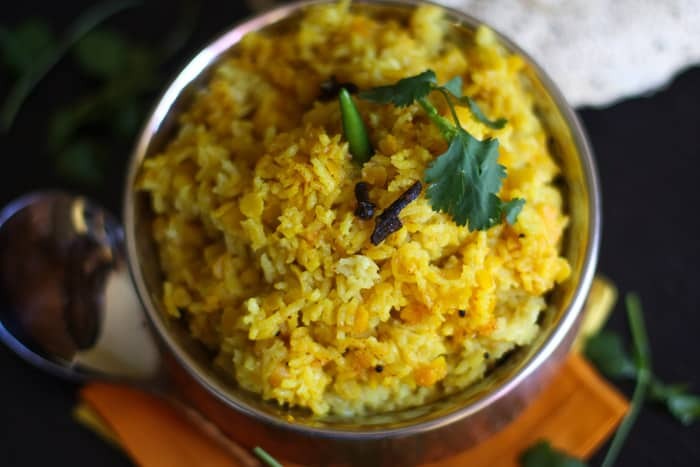 The Khichdi was the comforting dish for many of my room mates. Since we were not exactly rich and our allowance from home was limited, we could not really make a trip to the nearest restaurant on days we did not feel like eating the cafeteria food. 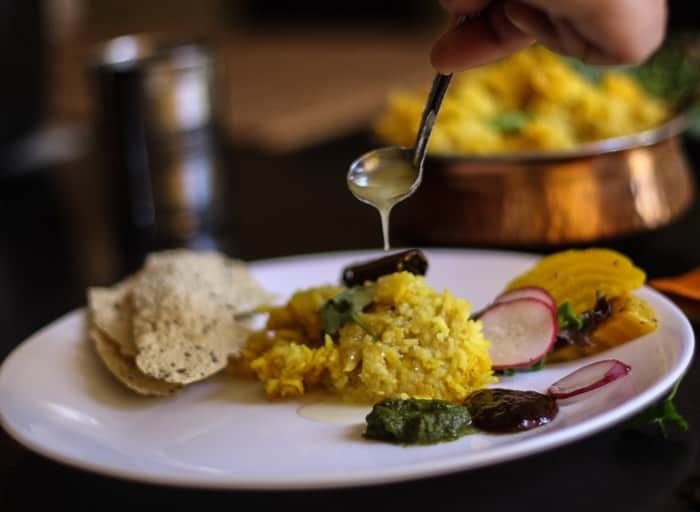 For a nutritious, soul satisfying meal, we would fall back on khichdi. Buttery lentils, gooey rice, delicious home made ghee and pickles that our moms sent in care packages were some of the things that would comfort us. It was an amusing thought for me to see myself eating a khichdi every now and then, even though it was not the food I grew up eating. There in lies the power of simple, basic food. The nourishing aspect that makes you feel happy in your belly, the comfort it provides and the nurturing it does to your body. 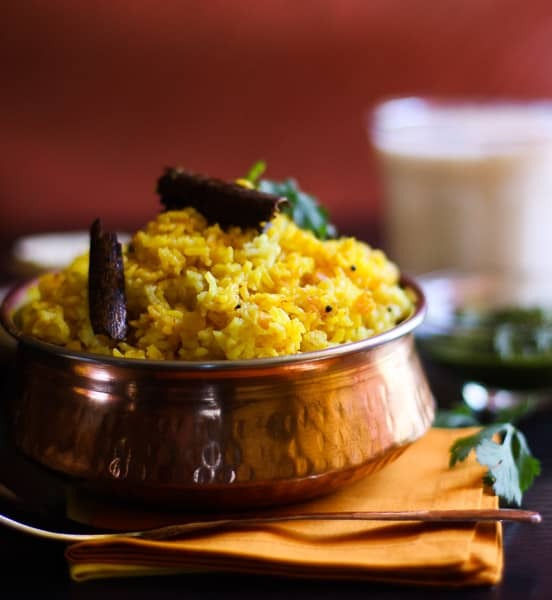 It is no wonder then that many cuisines have a variation of Khichdi in their cuisine. Add the cloves, black pepper and cinnamon. Let them fry in the ghee a bit. Add the rice and both the lentils and stir in the spices. Mix Throughly. Turn off the heat and let the the dish rest until pressure releases on its own. Serve with a big dollop of ghee, papad, chutney and some buttermilk. The Pressure cooker used for this recipe was the Futura Brand. 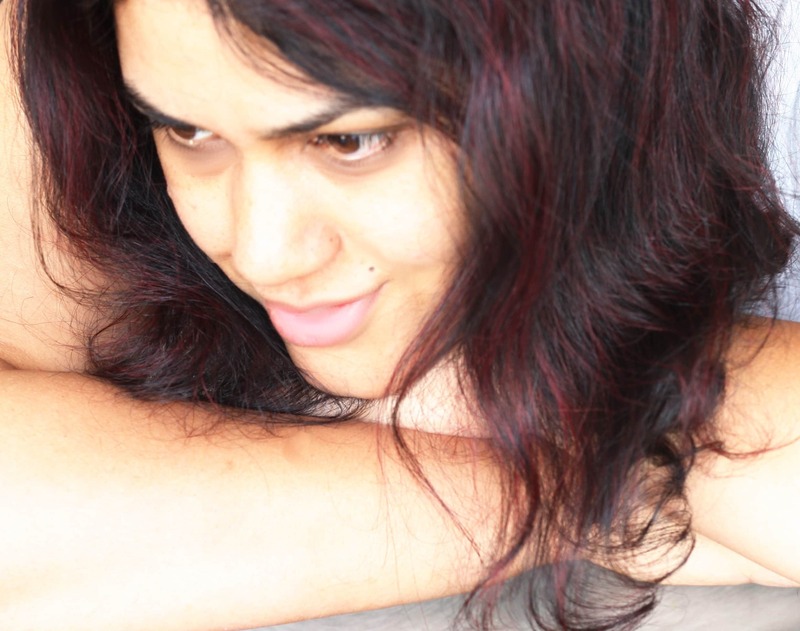 Dal kachi tabhi rahegi agar purani ho gayi ho. 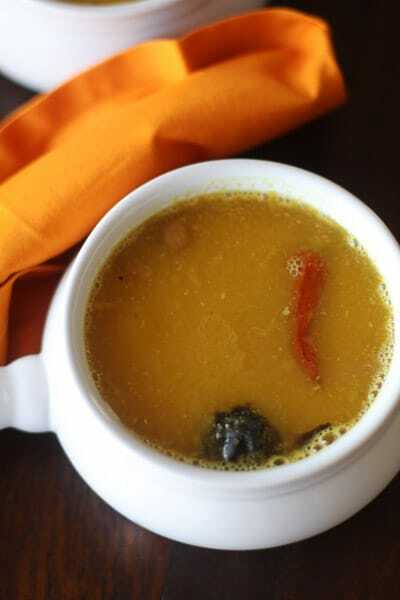 Yadi aisa hai to dal ko pehle garam paani main bhigo de, fir recipe ko follow kare. Such simplicity! Such mind-blowing beauty! Lovely recipe and images, Sweetheart! And how I love to read your words that come straight from your heart.Many thanks for this warm, comforting, soul-soothing post. This looks so flavorful and aromatic! Served in that copper pot, it really looks like a special dish, too. It sounds so flavorful! Ok, I’m trying to Explorer and see if it will let me comment. Fingers crossed, here goes! You paint such a beautiful picture with you words of your home. I’m adding Kashmir to my bucket list. Beautiful recipe Ansh! Maybe this dish will keep me satisfied until I can pack my bags. This is total comfort food. 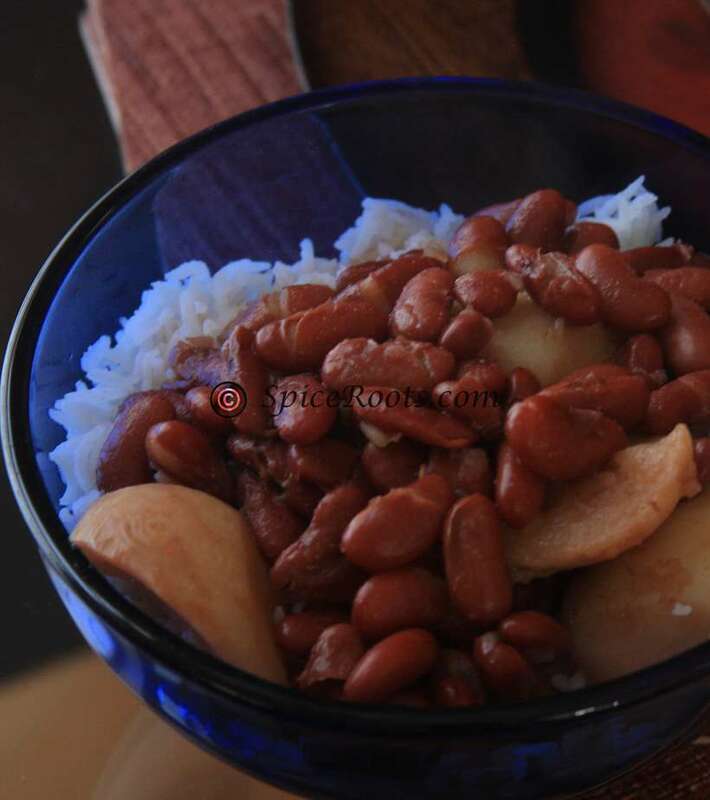 Quick to make, great taste and very healthy! Love that ghee picture! I love dal! And this one looks wonderful — love the color. One of these days I really need to get a pressure cooker — it makes dal a lot quicker to do. Fun post — thanks. This sounds so good, Ansh! I had no idea you grew up in the Himalayas. I can’t wait to hear more about it and see pictures! And maybe we could eat this while we talk? Beautiful dish, Ansh, and I love when you share things about your home. More please! What a beautiful looking recipe. And thanks for sharing about Kashmir. I don’t think I knew that’s where you were from. I love that copper dish and it’s perfect for the food and the photos.